I decided to use blue instead of purple on step 3 of En Provence. I have been hanging around not doing anything about step three for several weeks. 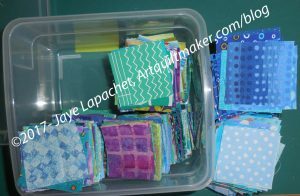 Finally, needing something mindless to do for a few minutes, I cannibalized the blue squares from my stash of Blue Lemonade 2 inch squares. I planned to use them for En Provence and replace the Blue Lemonade blue squares before I started to sew that piece together. Blue Lemonade also has green and purple squares, so the entire box wasn’t blue. Also, there were duplicates, so I didn’t take all of the blue squares as I want both to be relatively scrappy. Not even the majority of the box was blue. I think the squares were evenly distributed between the three colors. I ended up with about 380 squares. 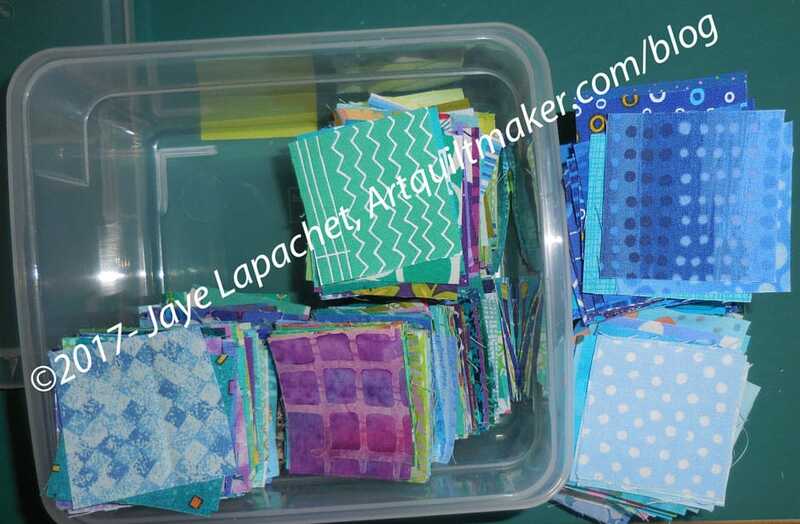 If my math is right (never a guarantee), I need 672 squares to make 168 four patches. Bonnie doesn’t exactly say, but I think I need 672 squares to make 168 four patches. My math isn’t so terrible that I can’t multiply. Still, it seems like a lot. I can use strips and make them less scrappy. We’ll see. Then I started to cut from my scrap bin. 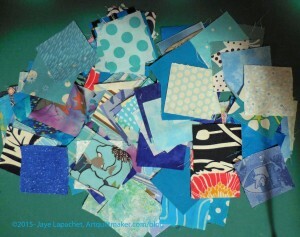 I have a lot of blue scraps, so I was able to cut several out of the scraps. My scraps are either too small or too big. Still, I found some I could use. This put me up to 464 squares. Not shabby, but still 200+ short. I don’t relish the thought of cutting 200+ squares, but it has to be done or I have to use strips. Then I have to replenish the Blue Lemonade squares as well. Sigh. These squares arrived in the mail for me last week and I felt like a kid at Christmas. 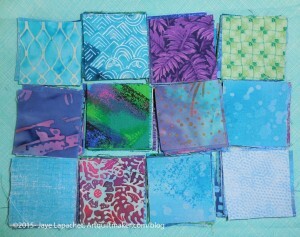 It was so fun to receive an unexpected batch of fabric. I really had a good time looking through them and imagining their placement in the Blue Lemonade quilt. I have made good progress lately on Hunting & Gathering. Between these, the ones Mom cut for me and the squares I have cut for myself lately, there is a nice little pile accumulating. I am still definitely in the Hunting & Gathering stage. I will be until I, at least, figure out how many patches I need. I do think this quilt will definitely happen. 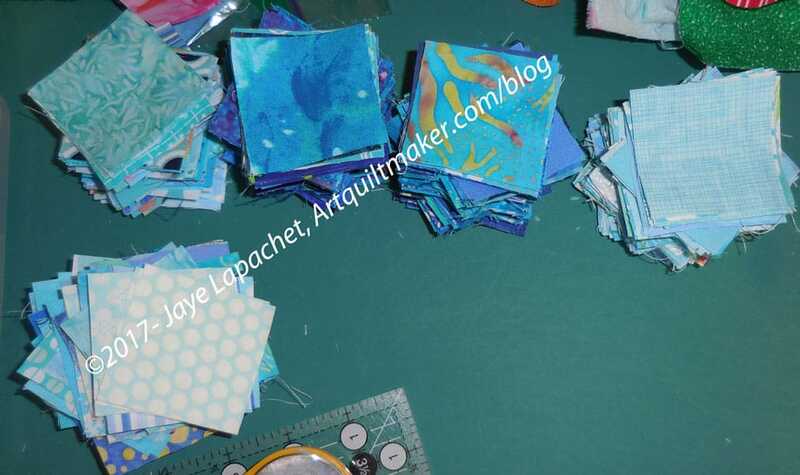 I think I have 3 blue quilts in process and I wonder if I will get sick of them before the last one is finished? 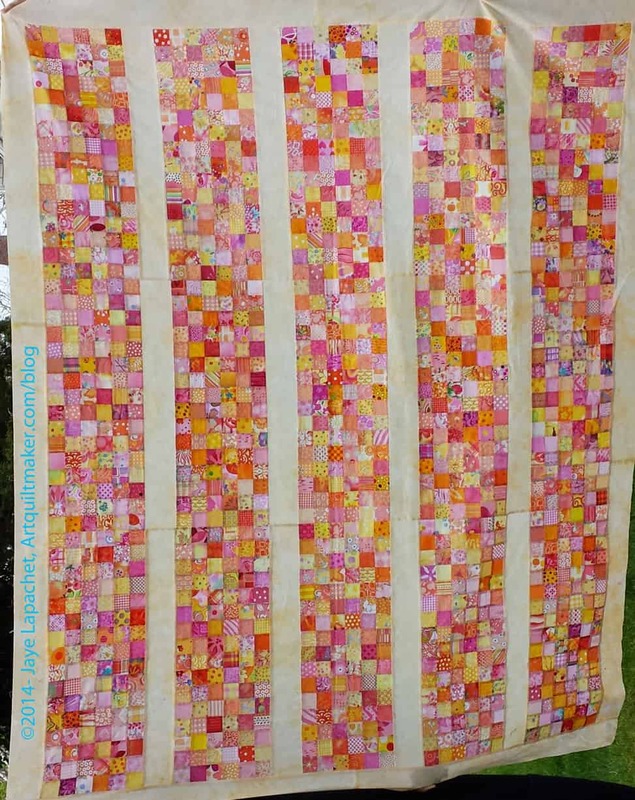 Some time ago I wrote about TFQ’s cool quilt, Pink Lemonade. I have washed a lot of blues lately, so my version (future) has been on my mind. Mom came over the other day and on a whim I asked her if she would use my Accuquilt to cut blue squares for me from my scrap basket. The scrap basket over floweth, as they say. She said yes, which netted me a bunch of blue squares. I am much farther along that I was, though I still have a long way to go. 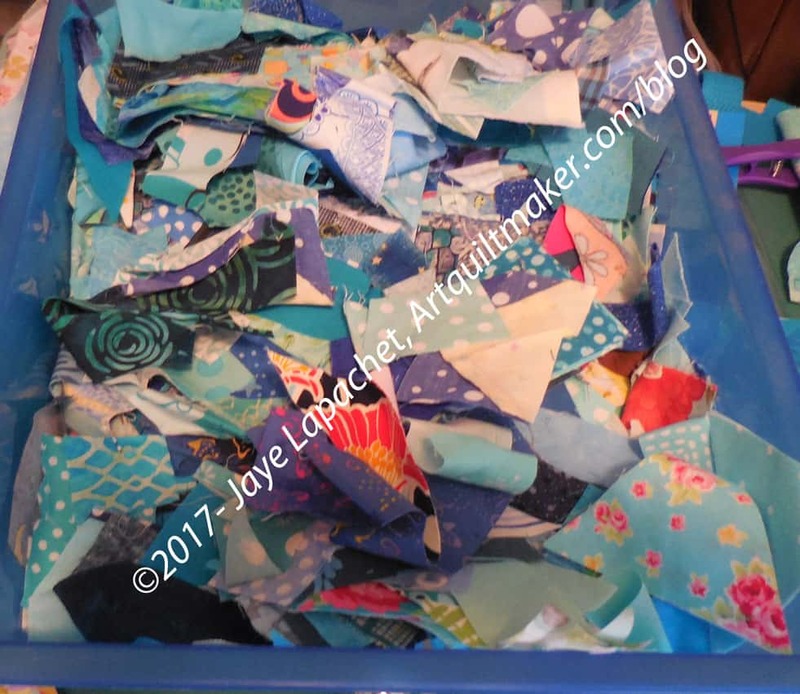 As I was organizing them, I wondered about just sewing them randomly or trying to organize them like I do with the the Fabric of the Year quilts. I have to admit that it doesn’t sound very appealing. It sounds like a boring slog. In TFQ’s version, it looks like she sewed the fabrics together sort of randomly, though I am sure there was a method to the madness. 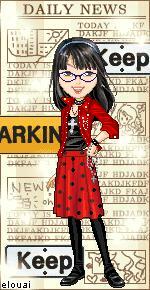 I definitely do not see a gradation. This is a cool quilt top made by my friend TFQ. I love this design. 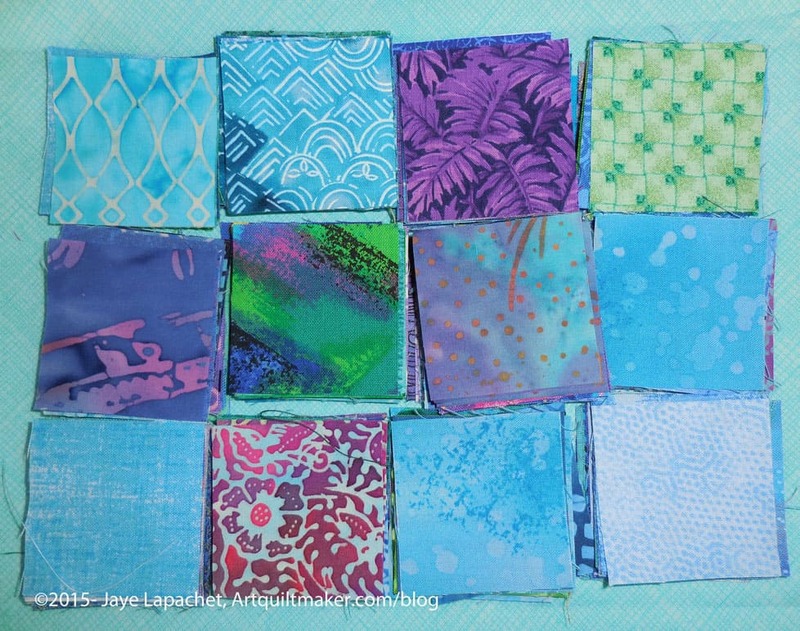 It has inspired me to cut 2″ blue, green and violet squares. I have a long way to go, but it is a start. I love the way TFQ has chosen the pinks, yellows, oranges, etc for this piece. She said that she chose fabrics that read pink, yellow, orange, etc. They are similar in temperature, and sometimes in vlaue, but because of the different hues, there is interest in the piece as well. There is that quality of making the viewer want to come closer. Some of the fabrics had white in them and TFQ was careful to not let the white creep in too much. This is to mitigate the holes that can be caused by too much white. White isn’t bad, but it wasn’t TFQ’s choice for the look of this piece. White can create a hole if it isn’t distributed well. 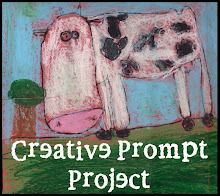 The concept goes back to something Sandy and I have discussed in the Design Series: what is your intent as an artist and designer? TFQ’s top is named Pink Lemonade. I may name mine Blue Lemonade. That will be the working title for now and we will see.